We buy houses fast in Richland, WA! Sell your Richland house fast. Need to sell your house fast in Richland, WA and surrounding areas?.... we would like to make you a fair all cash offer. We will even GUARANTEE that offer and you can have a check in your pocket in as little as 10 days. 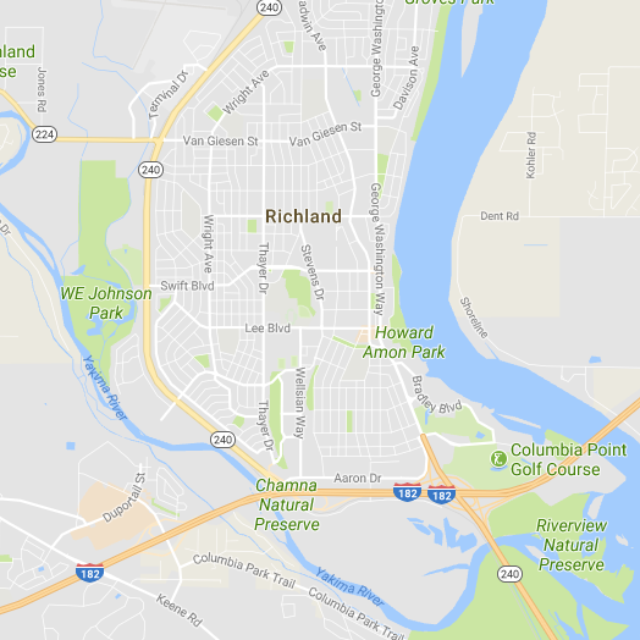 We buy houses in Richland in any condition and "AS IS". Let us take over the burden of your unwanted property. There are many situations in which homeowners may need to sell and we can help including.....Relocating, inherited an unwanted property, not wanting to make expensive repairs, behind on payments, tenants making life miserable, fire damaged, divorce, you own a vacant house, mooching relatives living in your house, and many more. We are confident we can help. Basically, if you have a property you need to sell.........we would like to make you a fair cash offer and close on the date you choose. It's that simple. Maybe you have tried to sell your house on your own but are running into problems, maybe you have even tried calling a real estate agent. Sometimes selling with an agent is not the best option. One of the biggest problems with selling with an agent or selling yourself is often times the potential buyer will tie up your house for weeks on end, only to back out of the deal at the last minute. This can be because the inspection showed more repair than the buyer expected, the buyers other house sale fell through, or if the appraisal does not come in at the value required by the bank. This can add a ton of stress, and as you know as time progresses that house is costing you more and more each month it sits and doesnt sell. Selling to Tri-Cities House buyers is a lot different than listing with a realtor. We will make you a Fair ALL CASH offer on your Richland house within 24 hours of submitting the short form below. You get to decide when you want to close, in 10 days or 10 weeks, its your choice. If your house is in rough shape and you don't want to or are unable to fix it up, don't worry. We will buy it just like it is. You don't even have to clean it! If you need to sell really fast we can do that too. Most of our customers are surprised at how fast and how easy it is to sell to Tri-Cities House Buyers. You can read what they have to say here. No matter the Condition of your house........Your situation........or Timeframe. Our Goal is to help make your life easier and to get our from under that property that's causing you stress. All while still paying a fast, fair, and honest price for your house. We buy houses in Richland, WA 99352, 99354 and also all over Tri-Cities, Yakima, and Walla Walla. Sometimes, people who own property are simply too busy and don't have the time available to do all of the things that typically are required to prepare a house to sell with a realtor. If that describes you, just let us know about the property you would like to be free of and we will help you sell your house fast for cash. There is No Risk, and Never any Obligation! You have nothing to loose.